Ranebennuru is the City Municipal Council in Haveri district in Karnataka, India. It is situated 300 kilometres (190 mi) northwest of Bangalore, the capital of Karnataka. Other nearby cities include Hubli (105 km), Shimoga (88 km), and Davangere (37 km). Ranibennuru is at geographical center of karnataka. 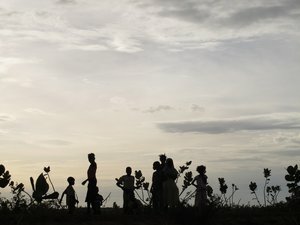 14°37′N 75°37′E﻿ / ﻿14.62°N 75.62°E﻿ / 14.62; 75.62. It has an average elevation of 605 metres (1,985 ft). One of Karnataka's most important rivers – the Tungabhadra – flows along the southern border of Ranebennur taluk. Another river, the Kumadvathi, which originates from Madagh Masur Lake flows from Hirekerur taluk, enters Ranebennur taluk, and joins the Tungabhadra river. 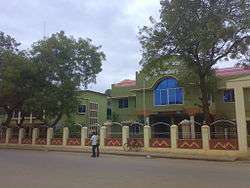 The nearest airport is at Hubli, 108 km from Ranebennur. From there one can take flights to Bengaluru and Mumbai. The nearest international airport is 300 km away, in Bengaluru. 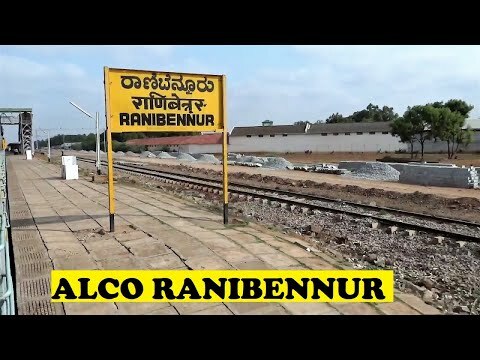 Ranebennur is connected with most of the metros like Mumbai, Bengaluru, and Chennai through regular trains. Being on National Highway NH4, the city enjoys good bus services. It is a 1.5 hour drive from Hubli (105 km) and 5 hr drive from Bengaluru (300 km). Most buses travelling between North Karnataka and South Karnataka go via Ranebennur.